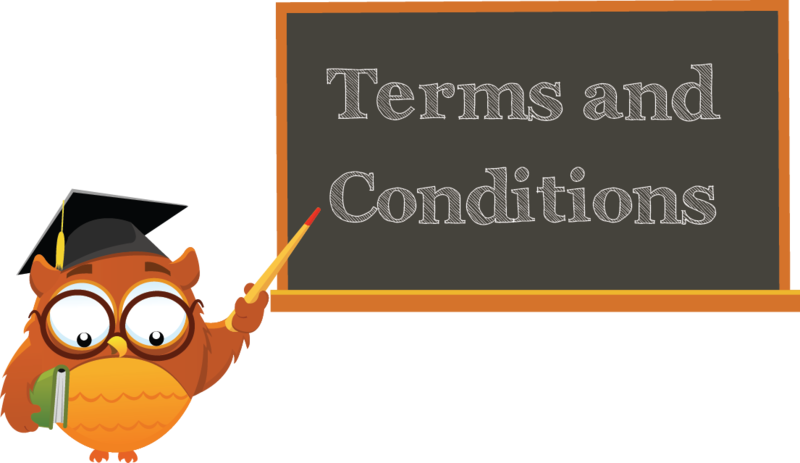 Category: Fisher Price. 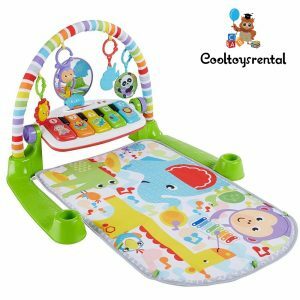 Tags: 0 bulan+, Baby Play Gym & Activity Mat. 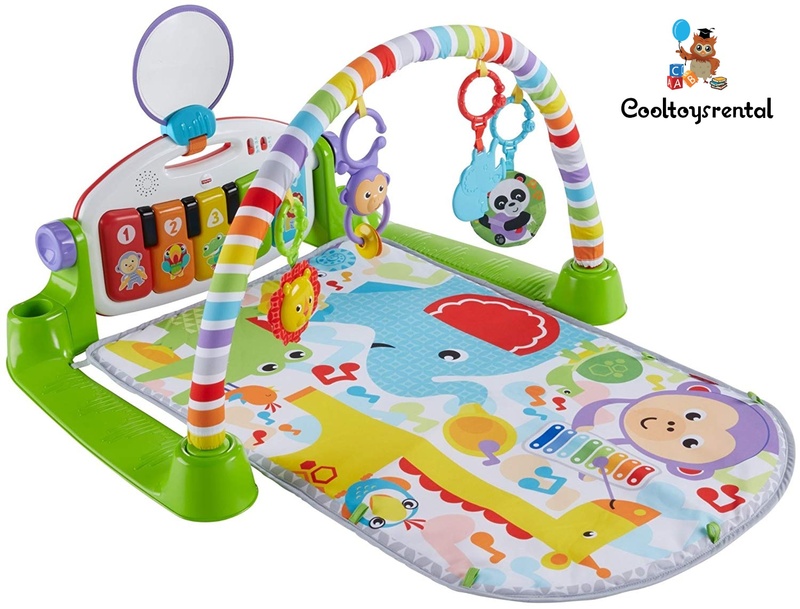 Baby gyms are a great way to encourage your baby’s developmental milestones, with tummy time and lay and play time made easy with the all the exciting activities on the Fisher Price Deluxe Kick ‘n’ Play Activity Gym Bright Colours your baby will be busy, busy each time you pop them onto this playmat. 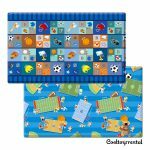 This playmat grows with your child, encouraging different levels of play right up to 36 months old. 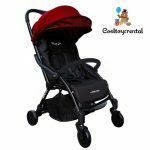 The overhead arch includes moveable toys that encourage your baby to bat and grasp. The musical piano plays music as your baby kicks, developing their muscles for later sitting and crawling. Piano detaches for toddler play. 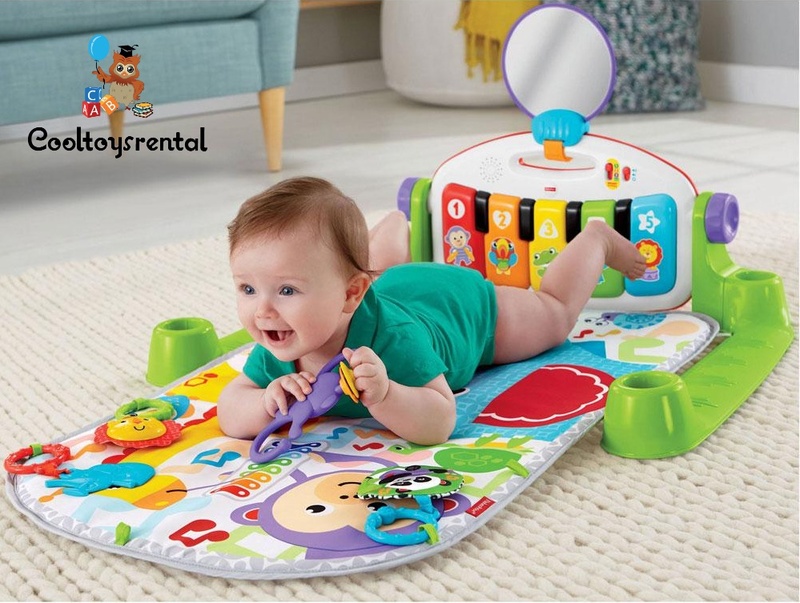 The soft playmat has interesting details for when your baby is on their tummy and they can reach for the piano keys as well. Music can be turned on for up to 15 minutes for soothing play. Easy volume control and on/off button. 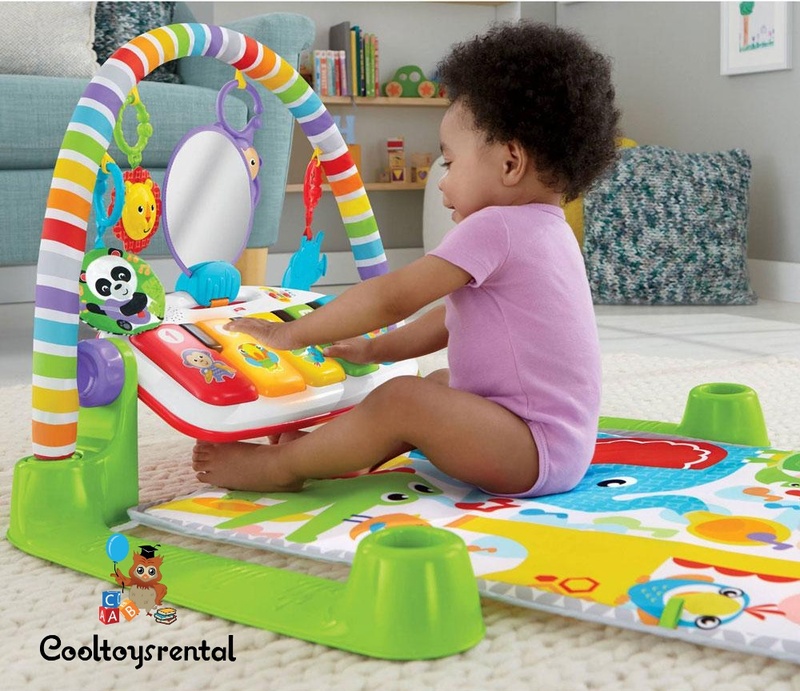 As your little active learner kicks and plays away, they’ll hear phrases and songs that reinforce what they see, introducing them to colors, shapes, numbers and animals. 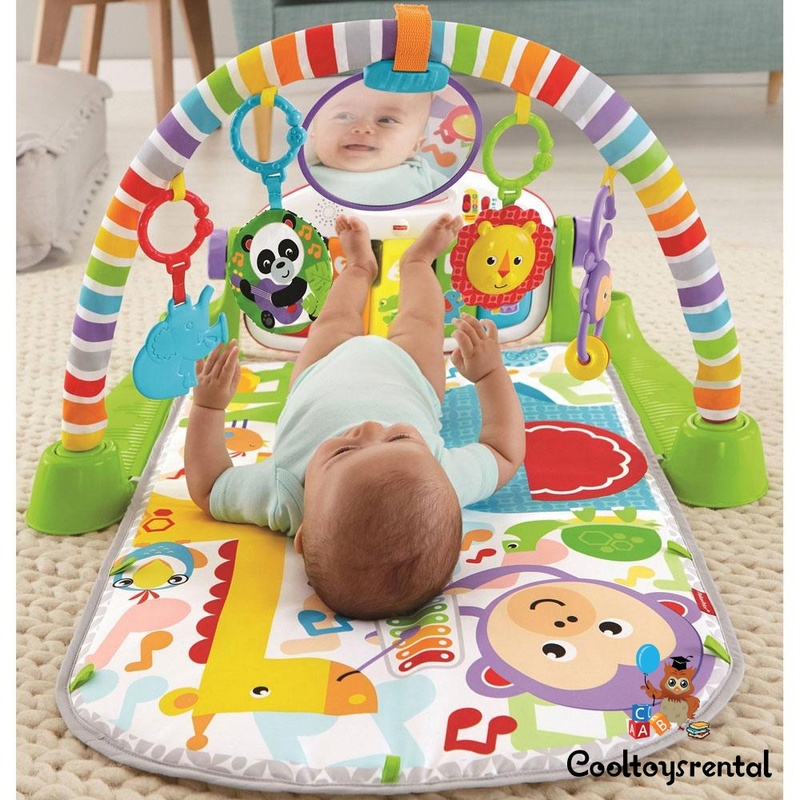 The Fisher Price Deluxe Kick ‘n’ Play Activity Gym Bright Colours is a terrific playmat and activity gym for babies that is terrific value for money.